President Mustafa Akıncı has stated that he would welcome the participation of political parties represented in Parliament at the five-party conference, which is due to start on 12 January in Geneva. President Mustafa Akıncı has returned to the island following his two-day Brussels visit. During his Brussels trip, President Akıncı met with the President of the European Parliament Martin Schulz, the President of the European Commission Jean-Claude Juncker, the High Representative of the European Union for Foreign Affairs and Security Policy Federica Mogherini, the US Assistant Secretary of State for European and Eurasian Affairs Victoria Nuland, and the German Foreign Minister Frank-Walter Steinmeier. 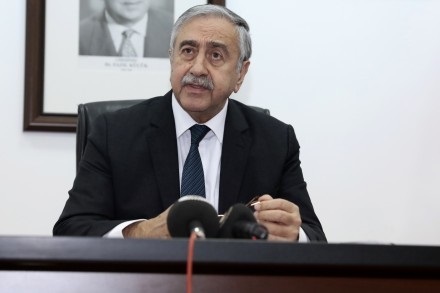 Noting that the Turkish Cypriot side’s readiness for the EU is one of the key points of the talks, Akıncı said that the institutions in the north should be prepared for European accession and that works should be accelerated in this framework. However, Akıncı also highlighted that the Greek Cypriot side has been a member of the EU for the last twelve years and received significant contributions during this period, and stated that more will need to be done to support the Turkish Cypriot side and address this economic disparity According to President Akıncı, the President of the European Commission Jean-Claude Juncker reaffirmed his promise that to provide financial support for the settlement in Cyprus. Stating that the EU also wants to attend the five-party conference in Geneva on 12 January, Akıncı reminded that the European Commissioner for Enlargement Verheugen took part in Burgenstock in 2004 on behalf of the EU; similarly, at this forthcoming conference, the EU can be involved as a related party at the negotiation table. Turkish Deputy Prime Minister Tuğrul Türkeş stated that Turkey fully supports the ongoing negotiation process in Cyprus and President Akıncı’s constructive efforts in this regard. This entry was posted in News and tagged 5-party Conference Geneva, Cyprus negotiations, Mustafa Akıncı, North Cyprus, TRNC, Tuğrul Türkeş. Bookmark the permalink.